Much has been said about the pros and cons of using Vitamin C serum to promote healthier skin. While many contests that Vitamin C is best taken orally as a supplement, too many believers in topical Vitamin C application has made skin applications extremely difficult to ignore. So, what’s the real deal with using Vitamin C as a face serum? Experts and ordinary people alike have long held that using vitamins for aging skin through skin application like vitamin c serum is a viable solution for preventing and correcting wrinkles, age spots and other multiple signs of skin aging. Everybody agrees that skin damage worsens with age. Sun damage on the face and elsewhere on your skin also build up over the years. Eventually, your skin becomes unable to cope with the growing severity of damage and the repairs necessary for your skin to recover. Many studies have validated that antioxidants are one of the most effective ingredients to protect cells and correct damages caused to it, most especially due to free radicals from the environment and stress. Vitamin C has been recognized as one of the most powerful antioxidants available for skin application as well as an oral supplement. It Boosts Your Skin’s Antioxidant Protection – Antioxidants defend your body cells, including your skin cells, from the permanently damaging effects of free radicals. When free radicals attack healthy skin cells, it can either damage your skin cells, cause it to die or, turn it into another free radical. Antioxidants help prevent these irreversible consequences by combining with free radicals to neutralize these. Vitamin C Re-Energizes Your Skin Cells – This antioxidant is a powerful sun damaged skin treatment. By reviving and rejuvenating your skin cells, it also boosts your cells’ energy levels that gives your skin the power to improve the volume and rate of production of collagen and elastin fibers. When there are more fibers in your skin, your skin becomes more capable of coping with required repairs on the skin matrix. As a result, you get to avoid the appearance of visible signs of skin aging. Vitamin C Has Natural Astringent Properties – Vitamin C serum for face is highly recommended as well for its astringent and skin toning properties. Vitamin c naturally lightens dark spots and brightens your overall complexion, making your skin more radiant and even toned. Meanwhile, its tonic properties smoothen your skin’s texture by minimizing the size of your pores. Vitamin C Blocks Damaging UV Rays – This ingredient has the ability to block your skin from damage caused by UV by neutralizing these. Sunscreen that combines UV blockers with antioxidants such as Vitamin C performs better in keeping UV off of your skin. It does not stop there. It also boosts the benefits that you can derive from other products in your skin care regimen. Vitamin C Improves Skin Moisture And Hydration – The toning properties of Vitamin C minimizes water lost that escape when your pores are wide open. This mechanism makes Vitamin C one of the ideal ingredients of the best hydrating serums. How to Use Vitamin c Serum For Aging Skin? How to use Vitamin C serum to fight the signs of skin aging? Vitamin C is available in many forms. You may take Vitamin C orally or, apply topically to support the appearance of healthy skin. As a topical treatment, Vitamin C is available in several preparations, including serums. It is best to get two separate anti-aging vitamin c serum when you’re planning to make Vitamin C an integral part of your morning and evening skincare routine. For your morning regimen, make sure to get a serum that also contains sunscreen protection. Vitamin C face moisturizer that combines sunscreen, moisturizer and Vitamin C, which sometimes also come with pigment to match your skin tone, is now available for daytime use. Another variety is hyaluronic acid and Vitamin C serum. For your nighttime treatment, make sure to combine Vitamin C serum with your nighttime repair cream. Keep in mind that you should follow a cleanse-tone-moisturize routine every time. When applying your products, always start with any treatment, followed by your lightweight serums, and your heavier creams last. Give your skin ample time to absorb the product completely before layering with another product. How Vitamin C Serum Helps In Sun Damaged Skin Treatment? Can age spots be removed when you apply Vitamin C to the skin? Yes, in fact, Vitamin C generally provides a great way of healing sun damaged skin. It restores the ideal energy levels of your skin cells so that collagen production picks up speed and skin regeneration takes place sooner. Vitamin C also improves the quality of collagen and elastin fibers produced at much faster rates. When there’s more of these building blocks in your skin, your skin brings new skin to the surface much faster, eliminating the appearance of skin aging due to the sun. Can Age Spots Be Removed With Vitamin C Hyaluronic Acid Serum? Yes, in much the same way that Vitamin C can treat sun damaged skin. Vitamin C Hyaluronic acid serum offers added advantages. Its hyaluronic component leaves your skin with a dewier look for longer. This ingredient draws in water droplets from the surroundings to rest on your skin. It further helps your skin keep this water content locked in so your skin can stay well-hydrated for longer periods of time. When these two ingredients are combined, your skin becomes damage resistant and becomes capable of healing faster at the same time. What Are The Effective Ingredients Of a Best Anti Aging Serum For Face? Hyaluronic acid– It protects your skin from chronic dryness and dehydration. It helps your skin draw in a larger volume of water from the surroundings then, it locks this in for a long period of time. Vitamin E– A powerful antioxidant, it boosts the skin revitalizing power of Vitamin C. In turn, Vitamin E also works better in rejuvenating your skin and repairing the skin barrier when combined with Vitamin C.
Vitamin B3 (Niacinamide)-  Another powerful antioxidant, it also calms inflamed skin to give your skin a more even skin tone. This ingredient is fast becoming another favorite ingredient in skin care products. A study has demonstrated its anti-inflammatory effect on the skin. Vitamin B3 also works closely with Vitamins C and E to deliver a triple antioxidant advantage that thoroughly protects and revitalizes your skin. 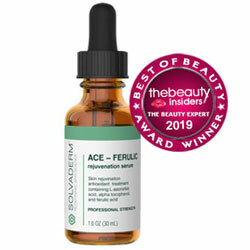 Ferulic Acid– The antioxidant function of a formula that contains Vitamins C and E is enhanced with the addition of ferulic acid, which is also a powerful antioxidant. It strengthens your skin and defends it from environmental stressors. Panthenol– It works with Vitamin C in enhancing collagen production rates and volume which, in turn, supports faster skin healing and repair. In addition, panthenol also leaves your skin with a thin film that helps trap moisture in and gives your skin a better-conditioned feeling as well. Skin type- Get to know your skin better and make sure to get a product formulated for your skin type. Review other ingredients in the formula– Get as much of the ingredients listed above and less of the ingredients that can potentially damage your skin like drying alcohols. Consider manufacturer reputation– The beauty industry is too attractive and many manufacturers are only taking advantage of consumers like yourself. Make sure to get a product from a company that has a track record of success in skincare. It will help if the serum also has been subjected to successful clinical trials. Accessibility– You want a product that has a reliable distribution channel for when you need to replace your bottle. Value for money– The price does not exactly equate to quality. Clearly, there are beauty advantages when Vitamin C is applied to the skin. It is so easy to get this ingredient from many types of face products. Although, the most concentrated forms are available in serum form. 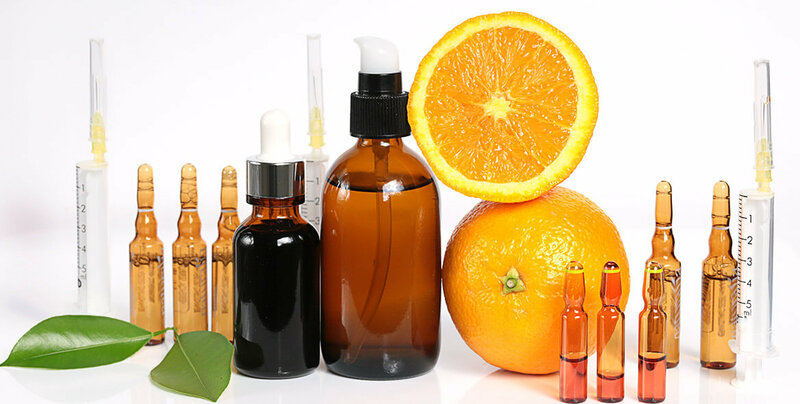 If you are wondering how to choose best Vitamin C Serum? Here is the List of the USA’s top rated vitamin c serum that actually works. We have gathered and reviewed some of the top-rated formulas of 2018.